Porsche Motorsport Asia Pacific will provide extensive on-site support to six entries in this weekend’s third round of the Blancpain GT Series Asia at Suzuka, with four Porsche 911 GT3 R runners, and a pair of the Porsche Cayman GT4 Clubsport MR.
Hong Kong-based outfit Craft-Bamboo Racing continues to field two GT3-spec Porsche 911 cars in the GT3 Silver class, with Team Director Darryl O’Young sharing the #991 car with 19-year-old Australian racer Aidan Read. 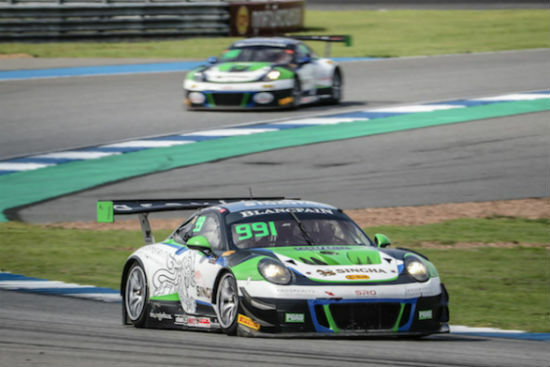 Craft-Bamboo’s second GT3 entry, the #911 shared by Australian Shae Davies and Thai driver Sandy Stuvik, currently sits sixth in the Silver standings, as the duo look to put on a strong showing at the legendary Japanese circuit. After cameo appearances at last season’s Fuji round, D’station Racing and Porsche Team EBI also join the GT3 field at Suzuka, competing in the Pro/Am and Silver classes respectively. Super GT GT300 regulars D’station Racing will field a #47 Porsche for Satoshi Hoshino and 2004 Le Mans 24 Hours winner Seiji Ara, as they make their return to the championship. Brothers Tetsuya and Naoya Yamano will share the #33 Porsche Team EBI entry, as the former makes his Blancpain GT Series Asia debut. In the GT4 class, Taiwan Top Speed Racing Team and TTR Team SARD head to Suzuka sitting fifth and sixth in the standings, and both squads will be looking for their first category wins of the season. Taiwan Top Speed Racing Team’s #17 Porsche Cayman GT4 will be shared by Keo Chang and George Chou, who last season were victorious in race two at the Japanese venue. George Chou also took class pole position and set a new GT4 lap record for the circuit, a 2m19.496s. The #11 TTR Team SARD entry meanwhile, continues with the pairing of Brian Lee and Tony Fong Wai Shing. Alexandre Gibot, Head of Porsche Motorsport Asia Pacific, said: “We’re very much looking forward to this weekend’s round of the Blancpain GT Series Asia at Suzuka. Craft-Bamboo Racing has been working hard since the last round in order to prepare for the Japanese leg of the championship, and we hope that their commitment will pay off. 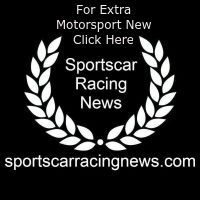 It’s also good to see Porsche Team EBI and D’station Racing re-join the series, increasing Porsche’s presence in the GT3 class.